Home Gait Re-Training Should I switch to forefoot running? Should I switch to forefoot running? More recently a Brazilian study by Almieda et al. (2015) reported that 95.1% ran with rearfoot strike and under 1% with forefoot. It’s important to note that these are ‘shod’ runners (wearing shoes) rather than barefoot, but even examination of habitually barefoot runners suggest a rearfoot strike is common. A study of the Daasanach, a habitually barefoot group from northern Kenya, revealed that 72% ran with a heel-strike at endurance running speeds. 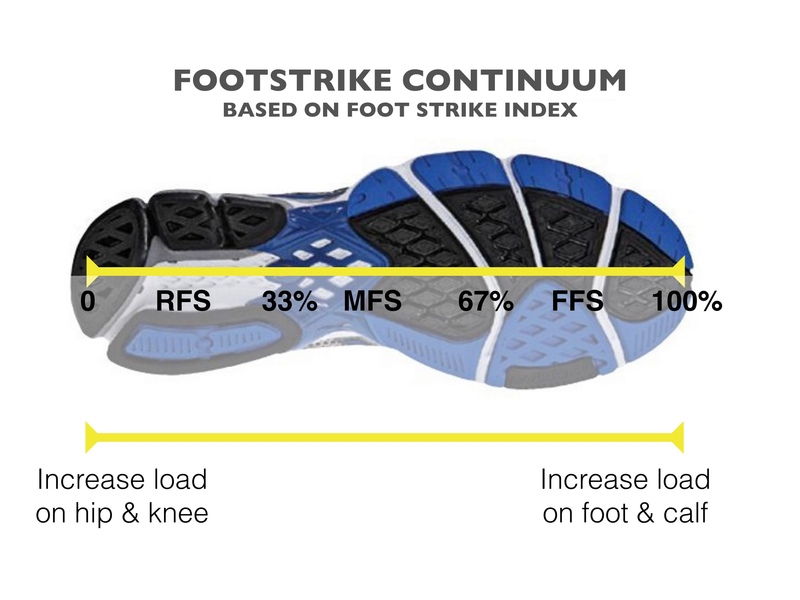 Although the data above shows considerable variation in footstrike amongst the studies, it’s fair to say that the majority of people run with a rearfoot, ‘heel-strike’ pattern. As such it is a normal finding on assessing a runner and NOT a problem! It’s also variable and changes somewhat with speed – we tend to move more towards a forefoot strike as we run faster, although again this varies between runners. Stearne et al. point to recent research by Gruber et al. 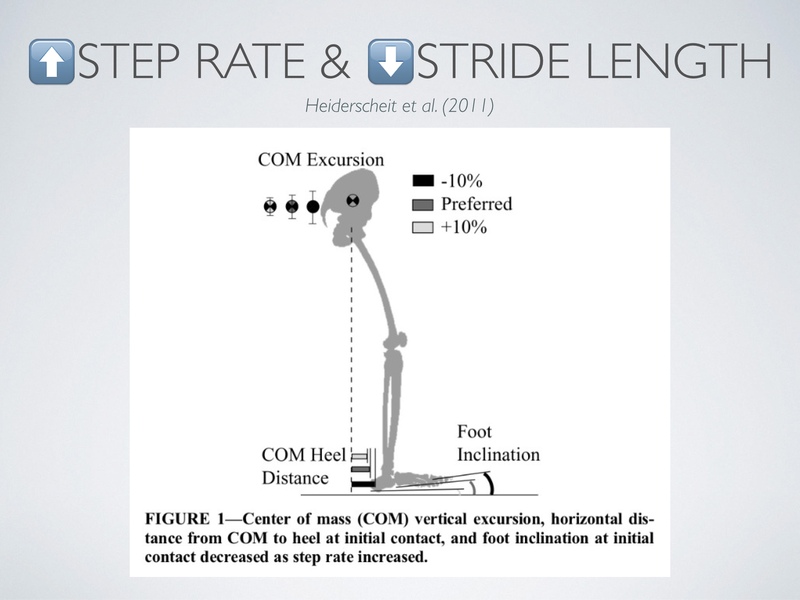 (2013) that compared running economy between rearfoot and forefoot strike patterns. They found that forefoot was not more economical than rearfoot strike and that a rearfoot strike may confer benefits at endurance speeds. Results of these studies should be interpretted with caution as they only show immediate change and only examined a limited speed range (up to ~5m/s). In terms of injury rate, the majority if the studies show no difference between footstrike patterns as discussed expertly here by @CraigBPayne. There’s also an important point to consider, such studies examine injury rates in habitual rearfoot or forefoot strikers, they don’t tell us what happens to our injury rates if we change our footstrike. Clinical experience would suggest a change in footstrike may increase injury risk, at least initially, due to the large change in load. I’ve seen a number of runners with calf, achilles and foot pain that coincide with switching to forefoot. Forefoot runners activate their calf muscles 11% earlier and 10% longer than rearfoot (Ahn et al. 2014). It’s estimated that runners with a forefoot strike load their achilles tendons 15% more than rearfoot runners, resulting in an increase in load equal to 47.7 times body weight per mile (Almonroeder et al. 2013). Habitual rearfoot runners place more demand in the knee joint in both sagital and frontal planes (Stearne et al. 2014), so there are pros and cons of each footstrike pattern and risks of switching from one to the other. …Well, a further interesting finding was that consistent rearfoot strikers had a lower stride frequency and larger stride length compared to the other two groups. It’s interesting because stride frequency and stride length can be changed to affect footstrike. We might be able to move along the continuum, to, for example reduce load at the knee, by increasing stride frequency and reducing stride length. In a nutshell what I’m saying is if you want to change footstrike, make a small, manageable change by adjusting stride frequency and stride length, rather than switching footstrike altogether. Increasing stride frequency by as little as 5-10% can significantly reduce loading while having minimal negative effects on performance. As footsrike, stride length and stride rate vary with speed it may also be useful to examine how athletes accelerate, especially if they predominantly use increase stride length to increase speed as this may affect footstrike. More on acceleration strategy in part 2…coming soon! Summary: Heel-striking is arguably the most common footstrike pattern amongst runners. There’s no clear advantage of switching to a forefoot strike and some evidence suggests rearfoot may even be more efficient, especially in endurance events. Each footstrike pattern has pros and cons and affects load at the hip, knee, calf and foot. Large changes in footstrike can increase load on different tissues and potentially lead to injury. Footstrike should be viewed as a continuum, rather than three separate, fixed patterns. We may move along this continuum as speed increases or by altering stride length and stride rate. A final, key question, is why do you want to change? If it’s for improved performance there may be neglible benefit, but small changes may be useful to alter load, especially at the hip and knee, which may be useful to manage injuries. And finally a special mention to Peter Gettings who has been instrumental in helping me gather the research needed to keep this site up to date. Thanks Peter! Peter is a top physio and a key man to follow on Twitter – @Peter_Gettings show the man some love! Can gait re-training reduce risk of running injury? Another great article, thanks Tom. I was wondering if thought group 1 (those who do not change foot strike with speed and have low cadence/high stride length) may be a subgroup to screen for as those potentially at risk of injury (for coaches) or those who may respond to certain technique adjustments when injured (for physios)? For example; someone with knee pain who does not change foot strike as he speeds up may respond to the technique adjustment of increasing their cadence. 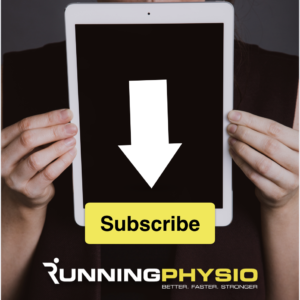 Conversely; in someone with knee pain who does change their foot strike as their speed increases, alteration in cadence would not be indicated. Obviously there are many other variables to consider, but I’d appreciate your thoughts. Thanks again for your hard work on an excellent blog. Great article as usual Tom! Quick question, I was always under the impression that forefoot/barefoot running helps to decrease over striding thus decreasing ground reaction forces. My advice with a client showing interest in barefoot or forefoot running would probably be guided by the injury history ie calf, foot and ankle issues stay with current style or transfer super slow or just transfer slow for the knee/hip clients. For the non injured client it’s usually a why mess with something that’s not yet broken response! I suppose the transfer in my opinion would probably realistically take 2-3 years or longer as most people have fallen in the pronation-control paradigm of thick heels and have been running in those for years. It’s interesting when you look at Peter Cavanaghs injury statistics from the early 1970s. Achiiles stuff went down with the thick soles but knee issues rose! As you state the force has to go somewhere! Thanks for this article, its very informative and useful for advising patients. Great article.. I was wondering your thoughts on running style to reduce instances of sesamoiditis.. I am suffering from this at the moment and want or get back to triathlons. Mid foot is a coaching cue not a reality. Interesting article! I am a forefoot runner myself, when I started running my dad let me run on very thin shoes, which forced me to run on the forefoot. For a while I used to have a lot of injuries, but nowadays I’m running injurie free for two years while running 140k (87 miles) a week. In my opinion forefoot running is a very efficient style, I believe you can prevent a lot of injuries with the right running technique. I can imagine it may be pretty hard to start forefoot running when you are a rare foot striker.